Bookworms rejoice! Mellow Pages, a new library and reading room in Bushwick, will open its doors on Thursday, February 21 at 7PM with beers and impromptu readings. Book lovers can hang, drink and read, while members can check out books for a suggested donation of $20 for an annual membership. But don’t worry, there are also plenty of ways to get around the membership fee. 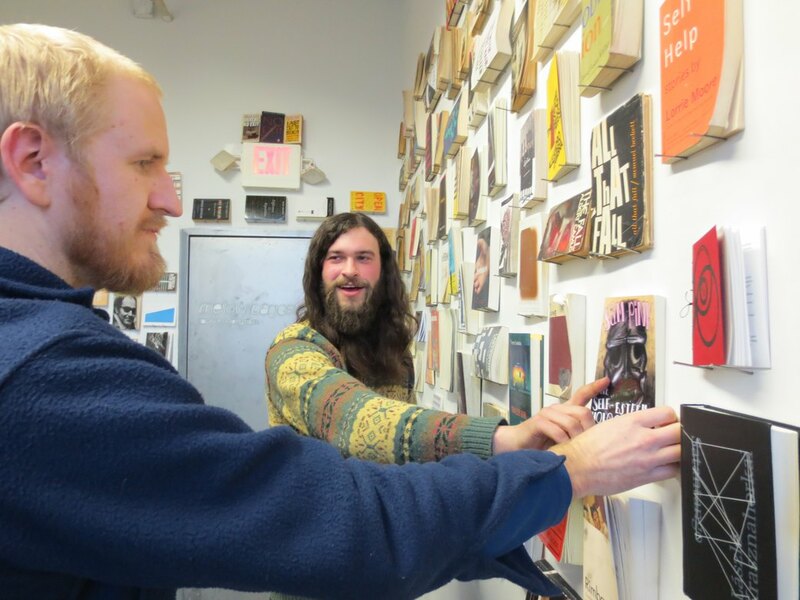 The new library is located in a 250-foot-square studio on 56 Bogart Street, and was co-founded by Bushwick residents and friends Matt Nelson and Jacob Perkins who are both originally from Seattle. Nelson, who moved to New York to do an MFA at Queens College, said he got the idea to start a library/reading room focusing on small press books from Pilot Books, a bookstore in Seattle which sold books published by independent presses before it closed in 2011. Nelson originally dreamed of moving back to Seattle and opening up the reading room there. But Perkins, a painter who is renting the studio, had begun painting less and writing more. “I felt the space was going to waste and the location is perfect, so I said, ‘Why don’t we just do it here?’” And so they did. 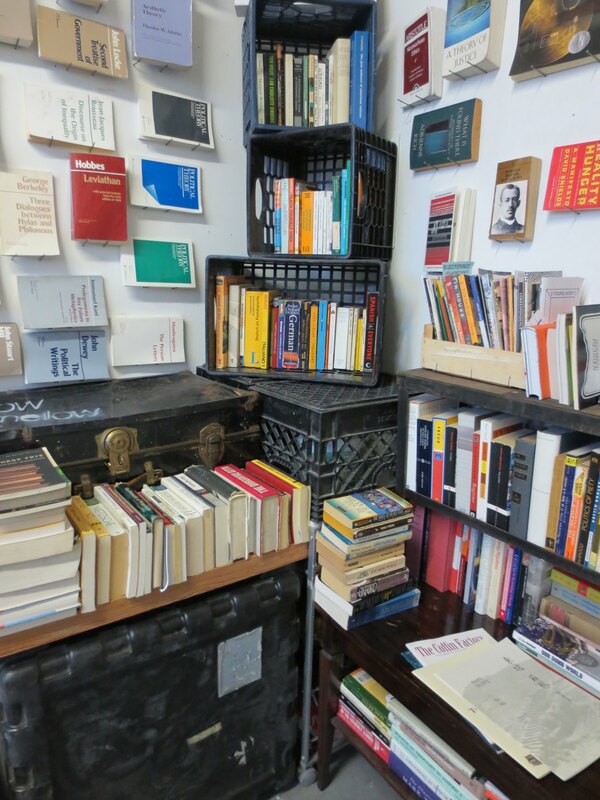 The collection is composed of the men’s own books, as well as the books from Perkins’ brother, who has a PhD from Duke University in global political theory. While the collection features more political books, than fiction and poetry, the men plan to expand the collection to feature more books published by small presses. That's not to say they don't already have a good selection of fiction or poetry - they most certainly do. Check out their full catalogue on Goodreads. “[The collection] is valuable, but we would like to outnumber the political stuff,” Perkins said. 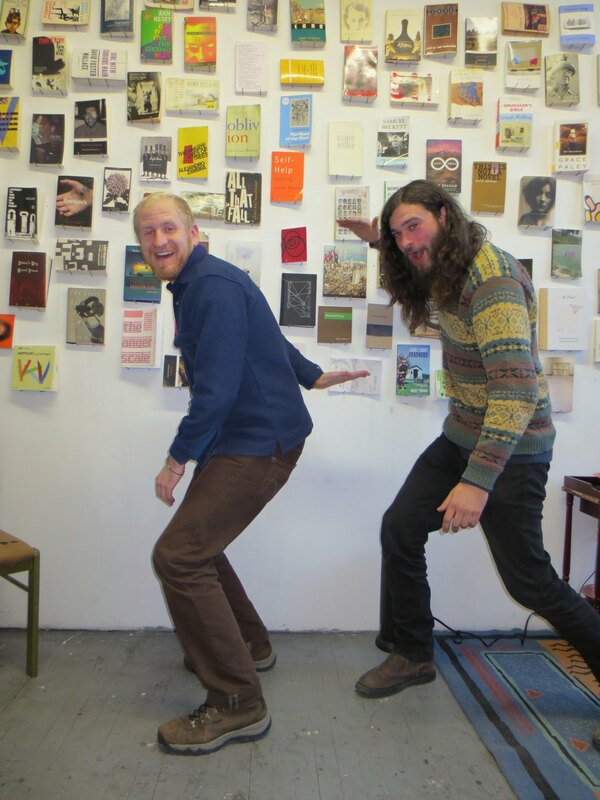 The men hope that through donations, new members and reaching out to independent publishers they will fill the walls with more books. Nelson also plans to attend the Association of Writers and Writing Programs conference in Boston in March to meet with publishers and ask for donations. The concept is also one of a kind in Bushwick, as well as the rest of the city. The closest ideas are Poets House, a poetry archive in Manhattan and Williamsburg’s Brooklyn Art Library, where members can look at sketchbooks from around the world. The $20 membership allows you to check out one book at a time and keep it for as long as it takes you to read it, although they might draw the line at one month. Members are also entitled to coffee - and beer in the future. You can score a free membership by donating five books off the wish list or 10 books not on the list. But you have to be willing to write reviews for the books not on the list to donate them. The men also plan to host small literary readings and perhaps film screenings in the future. And if you’re wondering about how they came up with the name, Perkins said, “The reading room is small, but we’re hoping to create a mellow space.” They’re also loosely putting together a zine with the same name. “It’s also funny because of the yellow pages,” Nelson added. For more information send an email to mellowpageslibrary@gmail.com or follow them on Facebook.